Majestical! 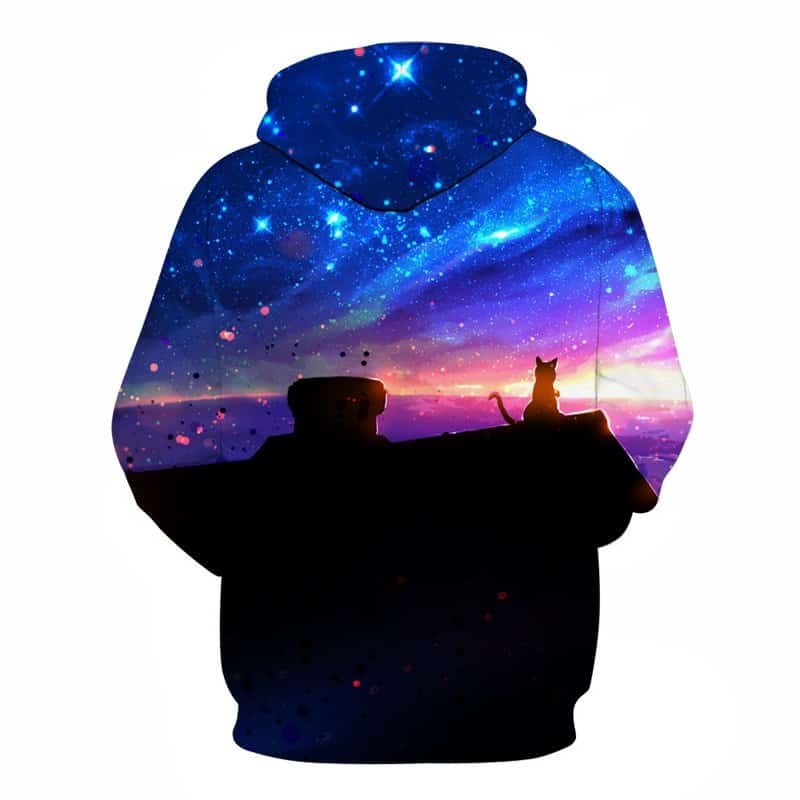 The perfect hoodie for cat and space lovers. 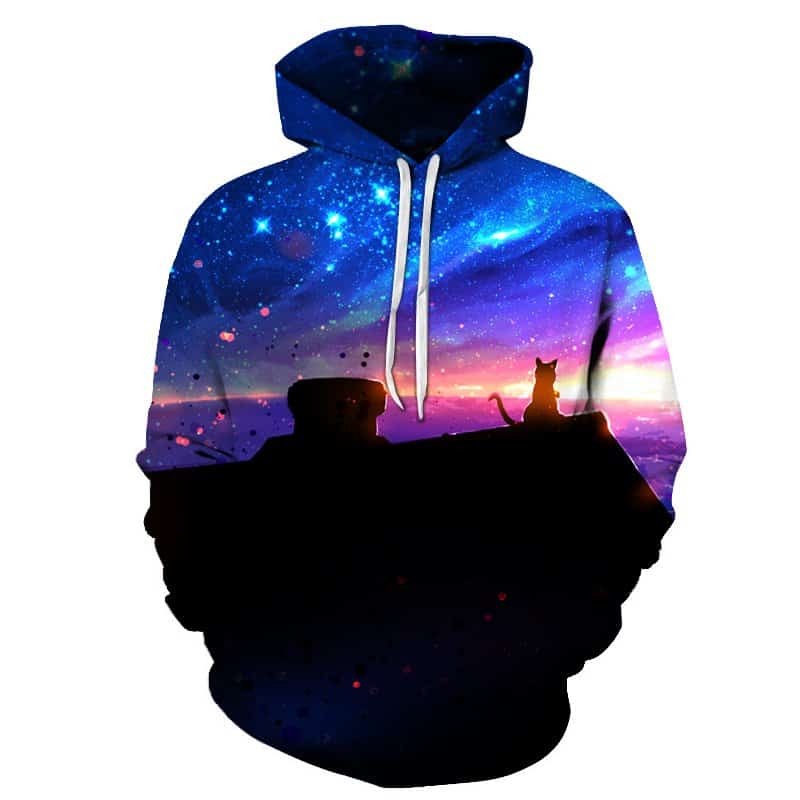 This Galaxy Watcher Cat Hoodie features a cat sat on a rooftop, watching the expansive galaxy. A perfect blend of colors, this hoodie is very stylish. The hoodie is comfortable to wear, looks fashionable and is wearable anywhere. It was designed for both male and female.